When the Russian painter Alexej von Jawlensky moved to Munich at the end of the nineteenth century, he met Kandinsky and became one of the main driving forces behind Expressionist art. In 1905 his work was shown along with that of the Fauve painters at the Salon d’Automne in Paris and, years later, in 1921, he and Wassily Kandinsky, Lyonel Feininger and Paul Klee established the Die Blaue Vier (The Blue Four) group. During the early 1910s, the decade to which the present work belongs, he began to develop an interest in depicting faces in a manner influenced by the Russian icons that had caused an impact on him during his youth. 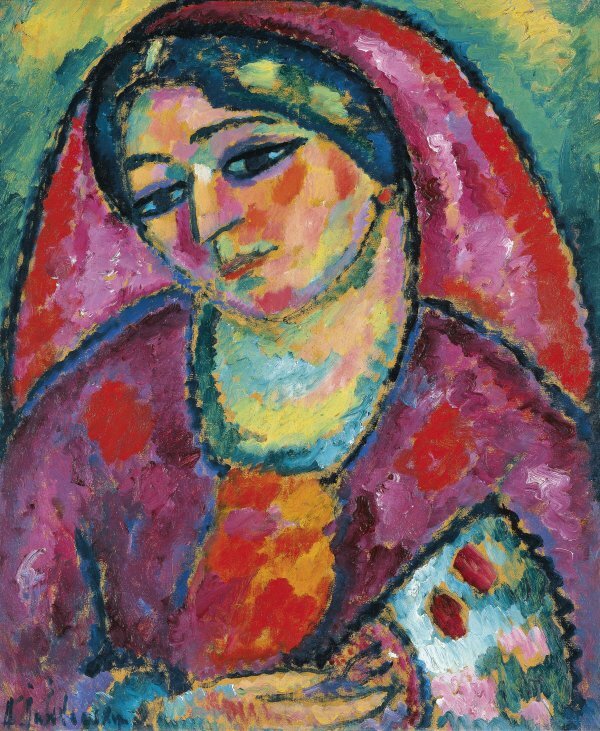 Like nearly all the Expressionist artists, Jawlensky was more interested in representing human types than capturing a particular physical likeness as in traditional portraiture. 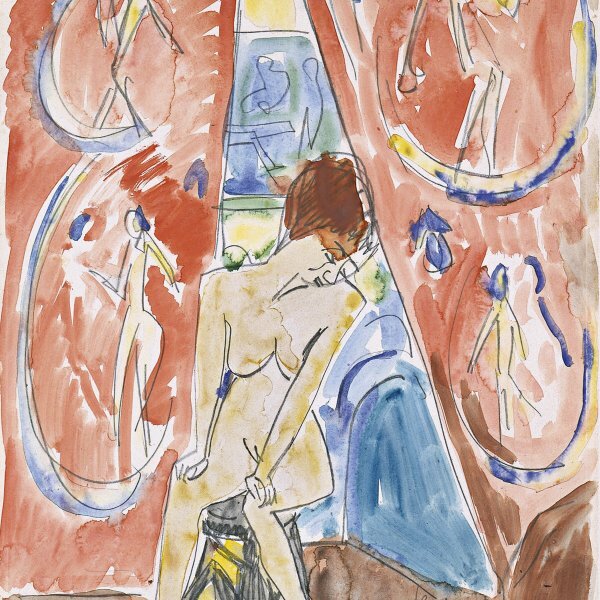 Furthermore, his handling of the human figure progressively varied over time and his initial Expressionism later evolved towards increasingly simplified forms leading eventually to almost abstract portraits constructed from only a few geometric planes of colour. An earlier composition by the painter — perhaps the portrait of a woman — can be seen on the reverse of the canvas, partially concealed by a layer of dark paint.